If you grew up watching motorsports like Formula One, NASCAR, and MotoGP, knowing where it’s being held and on which race track is almost second nature. Motorsports is one of the most enthralling sporting events in the world, mashing a driver’s skill behind the wheel with breakneck speeds. Unfortunately, most of the race tracks you spot on TV aren’t open to the public, especially when it’s not a reputable racing event. In today’s automotive world, sports cars have evolved to the point where it becomes nearly impossible to push to the limits on public roads, with safety being a priority concern. The only real way to test out your favourite sports car is on a proper racing track, one that has unique turns and bends as well as elevation changes. All these will put your car and your driving skills to the test. What’s great about these race tracks is that they have been around for centuries, bringing with it a storied past. From the likes of the Daytona International Speedway in Miami to the Autodromo Nazionale Monza in Monza and even Nürburgring in Germany, these iconic race tracks are known throughout the world for being some of the best race tracks to put cars to the test. Belgium is home to many things like beer, chocolate, and waffles. While its thriving food industry is enough to warrant a visit, the Circuit de Spa-Francorchamps in Stavelot is also enough to make you want to stay in Belgium. The track is also known as Spa and it is home to the yearly Formula One Belgian Grand Prix as well as both the Spa 24 Hours and 1,000 Spa endurance races. What makes Spa a worthwhile visit for adrenaline junkies with fast cars is thanks to its fast, hilly, and twisty nature of the track. All these culminate into one final corner — the uphill Eau Rouge chicane. The Spa is also located within the Ardennes forests, giving you a glimpse of its natural beauty before the smell of burnt rubber hits you. The Circuit de Monaco is arguably one of the most popular race tracks around the world with its fame largely due to Formula One. 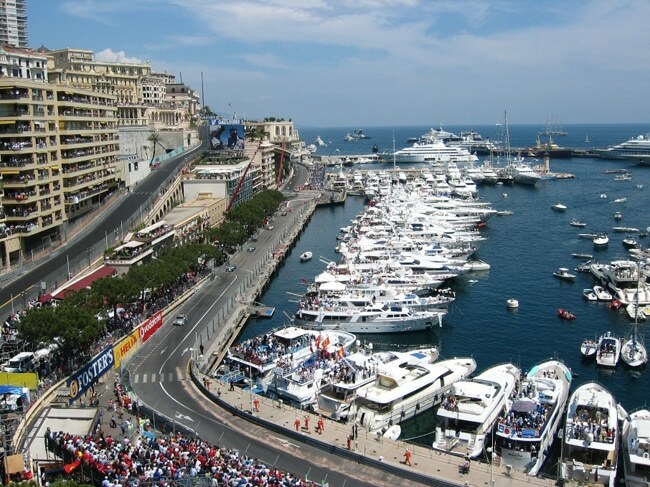 The street circuit consists of two city streets: Monte Carlo and La Condamine. During the race weekend of the Formula One Monaco Grand Prix, the city streets are converted into a makeshift track, which features tight corners and shifts in elevation. Even when the streets aren’t being used for actual racing, it is one of the toughest tracks to drive on due to the narrow and steep nature of the roads. Circuit de Monaco is also famous for a particular turn known as the Fairmont Hairpin, which has to be taken at just 48kph. Located in Daytona Beach in Miami, Florida, the Daytona International Speedway is the home to the Daytona 500, the most prestigious of all NASCAR races. 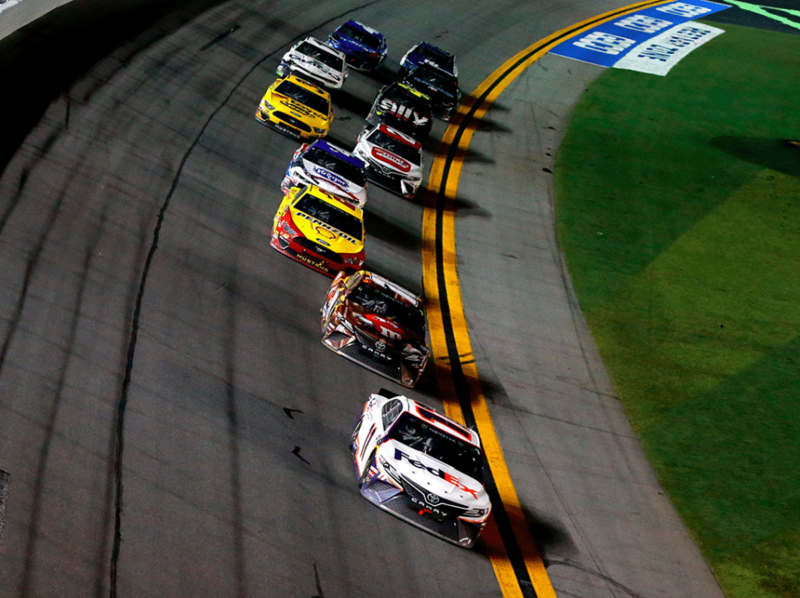 It’s one of America’s most iconic race tracks, known for its tilted elevation of the track during corners. The track itself is wide, giving you more than enough room to open cars up to fully utilise its strength. What’s great about the Daytona International Speedway is that besides opening for public events, it’s also open to public track days for High-Performance Driver Education (HPDE) events, giving you a chance to race on the most prestigious American race track there is. The United Kingdom is home to many race tracks, but none comes close to the Silverstone Circuit, located next to the Northamptonshire villages of Silverstone and Whittlebury. Its legacy began in 1948 when Britain had no major race track to claim as their own but plenty of airfields to spare. The Silverstone Circuit is also home to the British Formula One Grand Prix, making it the ideal location with its long straights, sharp corners, and chicanes. What’s great about the Silverstone Circuit is that there are plenty of driving experiences for one to choose from. Silverstone offers plenty of different racing packages for one to choose from, ranging from super cars to race cars and even tailor-made driving packages for specific automakers like Aston Martin and Ferrari. This is one race track that requires no introduction. 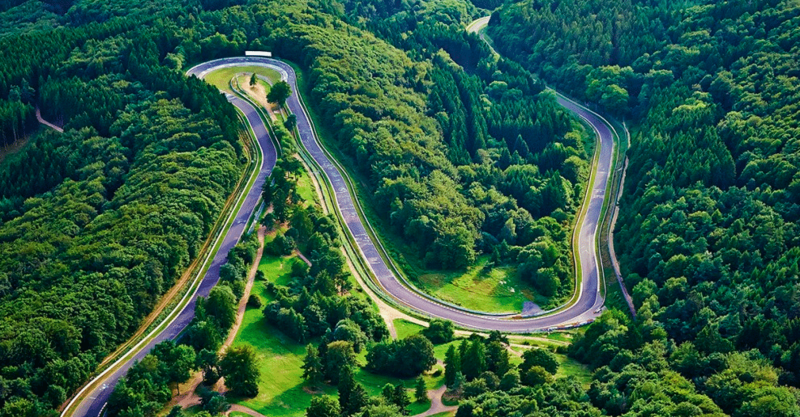 The Nürburgring Nordschleife of Germany is, safe to say, the world’s most famous and iconic race track. It spans over 20km long with more than 150 corners in total. 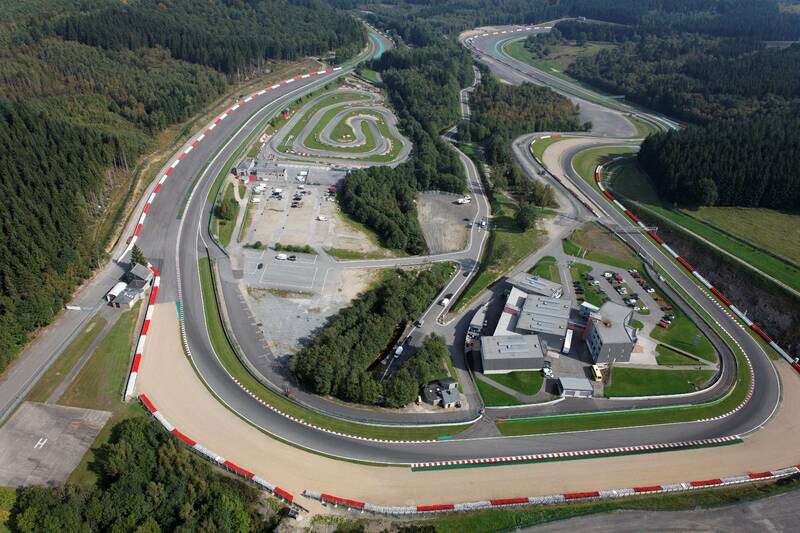 Of course, Nürburgring Nordschleife is actually two separate race tracks that can be combined into one. It’s known to be the ultimate automotive proving ground with every automaker bringing their latest creations to run the track and see if it holds up against the monster track. Nürburgring Nordschleife is also home to the Lamborghini Aventador SVJ as it brought about the quickest lap time in 6:44.97s. What’s great about Nürburgring Nordschleife is that it’s also open to the public to drive — all you have to do is purchase a ticket.